HomeKit versions of the company’s Smart Garage Hub and MyQ HomeBridge will ship in July. Garage door automation virtuoso Chamberlain is making the scene at CES 2017 with its new HomeKit compatible Smart Garage Hub. While it won’t be available to buy in-store or line until July 2017, Chamberlain promises that the Smart Garage Hub will allow users to open, close, or check on the status of their garage door; turn MyQ connected lighting on and off; and fiddle with their home’s thermostat using their iPhone, iPad, or Apple Watch. And thanks to Siri’s HomeKit integration, you’ll be able to do all of this with nothing more than a few words—provided the A.I. is in the mood to understand what you’re asking for. 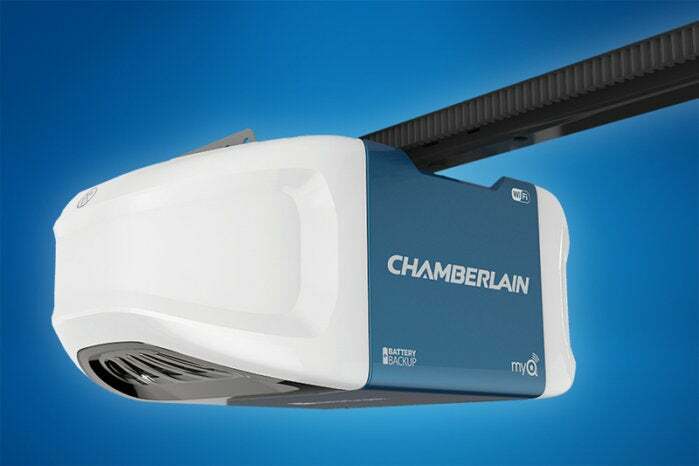 For homeowners who have already installed MyQ hardware in their garage, Chamberlain will roll out the MyQ HomeBridge in April 2017. The HomeBridge will provide consumers with the ability to retrofit HomeKit compatibility into an existing MyQ control setup. We’ll let you know as soon as we have more information on both products. In the meantime, if you’re interested, keep an eye on Chamberlain’s site.